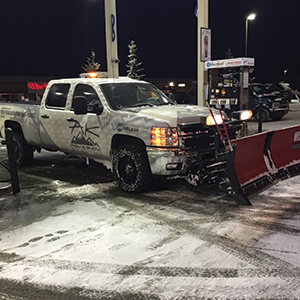 From snow removal to sanding and hauling, we can do it all. Contact us today for a free snow removal estimate of your residential or commercial property! We take pride in making your lawn achieve its maximum potential through maintenance and attention to detail. Contact us today for a free lawn maintenance estimate of your residential or commercial property! Are you in need of lawn care maintenance or snow removal in Anchorage? Contact us today for a free estimate and we will follow up with you as quickly as possible. Founded in 2004, AK Mow & Snow caters to over 450 customers year round. Seasonal work includes: spring clean ups, small landscaping needs, summer lawn contract maintenance, fall clean ups, winter snow plowing contracts (commercial/residential), sanding, hauling, and much more. 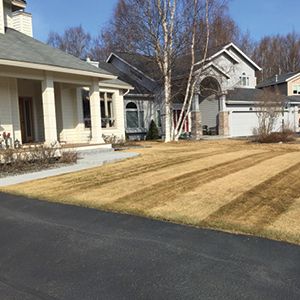 AK Mow & Snow is a premier provider of Anchorage snow and lawn service. Get a free lawn maintenance or snow removal estimate! Anchorage’s premier provider of spring services. See our work! Anchorage’s premier provider of snow services. See our work! Anchorage's premier provider of lawn maintenance. See our work! dependable, and trustworthy craftsmanship has been the cornerstone of AK Mow & Snow. No corners are cut when it comes to providing our clients the best possible outcome for their lawn maintenance or snow removal needs. Providing a transitional and year round service, AK Mow & Snow looks to maintain their position as the premier provider of year round lawn maintenance and snow , both commercial and residential. We are also the only business in town who use the prestigious Walker Mowers. Check out our videos section to learn about our quality equipment, and to see how much fun we have while we are working hard for our 450+ clients. Thank you for trusting your lawn and snow service needs to a lifelong Alaskan business that look forward to partnering with you for the continued beautification of our amazing city and state! Starting the first week in May, we begin spring clean-up, this includes: overall property clean-up, thatching, stick and leaf removal, fertilizing and much, much more. Free Spring Clean Up Estimate. The team at AK Mow & Snow are exceptional. They were proactive, professional and took care of our needs. I never had to ask for a plow visit during a record snowfall year here in Anchorage, they showed up each and every snowfall. We have a wide, steep driveway and they did a great job each and every plow. (I even asked that the mailbox be left clear, and they took the time to make sure it was all winter long.) Highly recommended. Plows our business lot and always early and clean. Friendly hard working people at AK Mow and Snow will recommend and highly recommended. Mow and Snow was easy to work with. I was able to schedule an appointment less than 24 hours after my initial estimate. Gabe did a great, clean job plowing a tight driveway. I’ll use them again. I have been living in Anchorage for 23 years and AK Mow & Snow did some of the best work on my lawn and for a very decent price. Would recommend them to everyone.